Paul Maynard MP, Parliamentary Under-Secretary of State for Transport wrote a piece in Transport Times this week regarding the future of rail; a topic OnTrac also covered in the December/January issue of Rail Technology Magazine. In the blog, published on the Transport Times website on Monday, Mr. Maynard highlights the excellent work the rail industry has done in directly supporting 200,000 jobs, while indirectly supporting millions more – and boosting the UK’s productivity by £10bn since its privatisation. However, these sentiments are somewhat clouded by the same comments we hear often, when politicians discuss the rail industry: unhappy commuters. 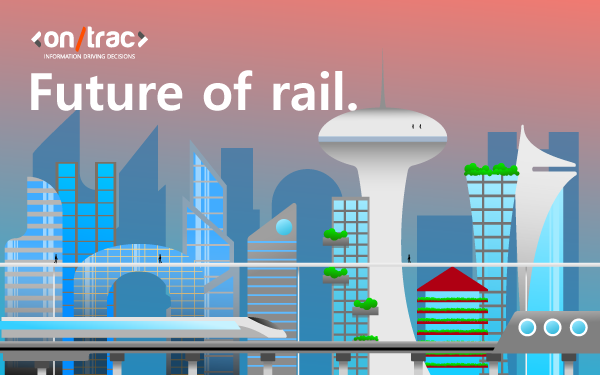 The rail industry is in demand, now more than ever. As a result, over-crowding has become a prevailing issue for commuters, alongside journey times and delays. Response to this has seen the investment of thousands into new carriages as well as rebuilding stations and, of course, the new lines for HS2 and Crossrail – not forgetting the Digital Railway project, which will not only fuel the future of rail, but help increase the impact of the aforementioned lines. What’s more, as Maynard writes, there has been a 240,000-strong rail improvement ‘in the biggest engineering works ever undertaken’, as well as the largest investment in rail since Victorian times. Responding to commuter issues is a great start. But, surely this can only fill a temporary gap, before other issues present themselves? Ultimately, if commuter issues are to be unequivocally resolved, there needs to be more done to improve public opinion of rail first and foremost; something that in-train Wi-Fi and new carriages don’t necessarily provide. For the rail industry to truly address long-term challenges and secure the future of rail with good old-fashioned determination, as the article enthuses, championing genuine transparency is vital. Opening channels of communication to ensure that commuters are fully aware of where money is being spend, and how it will ultimately improve journey times and reliability, needs to be considered now, in order to offer a greater understanding as to what is being done to provide much needed improvement moving forward. Without resolving centuries-old infrastructural woes across all lines, throughout the country, commuters will never be able to enjoy a reliable and comfortable rail experience – and ensure the success of the future of rail. Modernisation and digitisation of rail is key focus area. The rail industry needs to continue the pursuit of modernisation and digitisation, not just for passengers, but for the future of rail overall, including its infrastructure too. The creation of brand new lines, as HS2 and Crossrail is, undoubtedly, an excellent start in establishing a modern standard that the rail industry can collectively adhere to. Of course, the Digital Railway is helping provide clarity on why these lines are vital to the future of rail. However, creating new lines could potentially only contribute to current issues, if existing lines are not also improved and/or replaced. An expensive concept, perhaps, but it is something that requires action, if commuter complaints are to become a thing of the past. Of course, those working within the industry need to be modernised and digitised too. In the name of modernisation, we do also need to consider how work on our railways is being carried out, and what the industry can do to make working on or near the lines more efficient, productive and, of course, safe. While Maynard writes that UK railways are the safest they have ever been, this needs to also apply to those working on or near the lines, throughout the entire network too; something the rail industry must continue working on. In fact, everything we do here is about us taking problems that our clients face, and resolving them using technology. Our products focus on the safety of frontline workers, and since our inception, almost a decade ago, we have helped facilitate workplace safety for countless rail clients. We take archaic industry practices, and streamline them to ensure that work being carried out on or near the lines can be done so efficiently, productively and safely. eTrac-GIS for example, takes rail safety to completely revolutionary new levels, with the potential to transform how the entire industry operates. Our platform not only helps users understand data better, but how to distribute it more accurately and effectively throughout the wider rail network. Users can track and manage data in real time, as well as visualise assets like never before. The eTrac-GIS platform is OnTrac’s core visualisation tool, and as the industry continues its digitisation and modernisation, making better use of data and providing frontline workers with the tools to make safer decisions is imperative. Our ePICplatform enables the industry to become more responsive, by providing a platform that removes the need for time consuming paper based processes – enabling a more effective and collaborative approach to working on the frontline. Allowing users to view, edit, manage and digitally sign authorised SSOW packs, using forms and processes that fully comply with Network Rail standards (via smartphone and tablet), ensures frontline staff are working more safely, and features such as real-time site reporting and workflow validation, allow the rail industry to benefit from working anywhere in the network, without compromising on staff safety. eCOSS is one of the multiple components within our RailHub platform, which provides the industry with a single, digital workspace that facilitates better collaboration and efficiency in all areas of planning and delivering work on or near the line. Our core understanding of work methodologies within the industry has allowed us to create a platform that considers the associated hazards in planning and management of safety related risks on the frontline, and solves them by utilising modern technology. Innovation isn’t part of the solution: innovation is key. While OnTrac’s goals for a modern, safe, reliable and digital railway certainly echo Maynard’s ‘modest’ plans outlined in the article, we do think there are some things the rail industry should be bolder about. Why can’t our rail industry look towards Elon Musk style innovations? We boast the oldest rail network in the world; surely the inventors of rail travel deserve disruption and innovation of the highest calibre? At OnTrac, certainly think so, and we believe that this type of determination is what will not only result in true transformation throughout the industry, but innovation that will provide commuters with the type of rail network that they also deserve – and OnTrac aim to be at the forefront of this much-needed rail revolution!